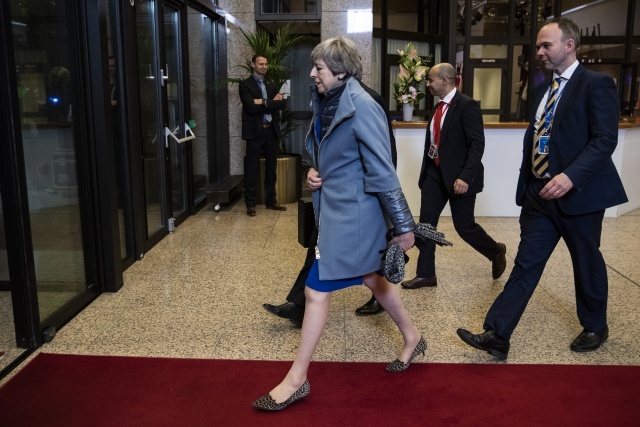 (AFP) - European leaders agreed with Britain on Thursday to delay Brexit by up to six months, saving the continent from what could have been a chaotic no-deal departure at the end of the week. May had originally asked for a delay until June 30, but EU leaders have already agreed one delay from March 29 to April 12, and Tusk had warned there is "little reason to believe" that MPs would ratify the Brexit deal within three months. Labour leader Jeremy Corbyn wants Britain to commit to remaining within the EU customs union, an idea that May has previous rejected -- but which many in Europe would be keen to accommodate. "We would be generous in negotiating that, understanding that the UK couldn't be a silent partner in such an arrangement -- it would have to have a say in decisions being made," Irish premier Leo Varadkar said. The summit conclusions make clear Britain was a full member of the EU until it left, but noted the "commitment by the United Kingdom to act in a constructive and responsible manner throughout the extension".